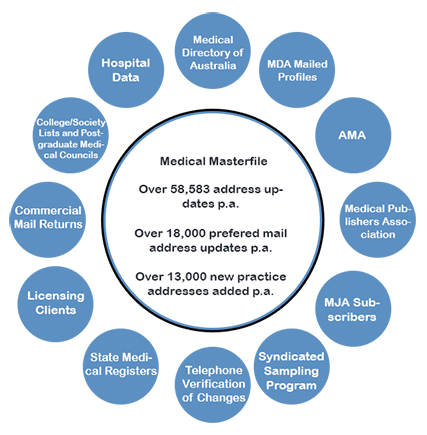 Healthcare Mailing can broker your hospital mailing lists from many different sources to provide you with reliable addresses that are 97% deliverable or better. Our team of dedicated brokers and list researchers know where to find the most up-to-date listings from owners who keep accurate records. And that’s important. Changeover is high at most hospitals, and lists that are not kept current can quickly become dated. For example, according to the Health Resources and Services Administration (HRSA) the nurse turnover rate at U.S. hospitals was 25.4% nationwide in 2004. The American Hospital Association hospital mailing list had 4,759 registered hospitals in 2004. The vast majority – over 4,900 – were community hospitals. All told, there were almost 37 million admissions to U.S. hospitals, and almost 1 million available beds. Most importantly for marketers are their budgets: in total these hospitals had over half a trillion dollars in expenses, including third-party goods and services like yours. Hospital mailing lists can help you tap into this enormous market. The greatest advantage to direct mail is that it allows you to pinpoint exactly who is going to receive your marketing package. But simply using your hospital mailing lists to get the main mailing address is not going to help you target effectively. You should spend some money to decide who is going to benefit most from your product or service, and most importantly, who has the authority to make that purchase. But that doesn’t necessarily mean the Purchasing Officer. Quite often it is the administrators, doctors, head nurses, department heads, and others at the hospital who make the purchasing decisions. …and any other department head or manager. Narrowing the possibilities in your hospital mailing lists by determining what type of hospital personnel are most likely to want to buy, and have the authority to buy, will improve your sales immeasurably. Combing tens of thousands of names, positions, and titles for just the right customer may sound like a lot of work – and it is without the right tools. Healthcare Mailing will help secure your hospital mailing lists and do all the list research for you. We can even help you find the right selects based on what has worked for other marketers in the past. Our team of professional marketers can help you refine your message so that when you reach your intended target audience, you will make a bigger impact. Contact Healthcare Mailing today to find out how we can improve your direct mail campaign!